Now that we’re in the waning days of 2016, it’s time to look back on the year and identify the photography products and services that took the photography industry by storm. Our list includes twelve of the most innovative companies that have already started to have a profound impact on how we shoot photos, videos, and timelapses, and manage the day-to-day activities of being a photographer. Each of these companies has accomplished a lot already in just one year, so it’s exciting to think of what we have in store for 2017! But, before we get ahead of ourselves and start thinking about the future, let’s take a moment to look back on some of the most impressive products and services for photographers in 2016. When you’re a professional photographer, you have a lot on the line. There’s your reputation to uphold as a photographer, of course. The countless hours working can be taxing as well. But there’s also the financial investment you’ve made in building a solid business. Leaving those investments uncovered could be a catastrophic mistake that sinks your business. Though there are many companies offering insurance coverage for photographers, Pro Photographer’s Insurance by RVNA makes our best of 2016 list because they make it so easy to get covered. In just a matter of minutes, you can get a quote and enroll online, 24 hours a day, 7 days a week. Better still, with premiums starting at just $8.25/month, RVNA makes insuring your assets an affordable exercise as well. 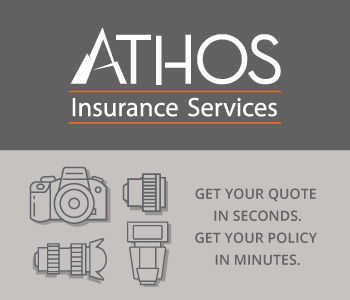 Being that it’s so easy and inexpensive, there’s no excuse not to get photographer’s insurance. And, with RVNA, you can get policies that offer you complete protection. Get your gear covered against loss and damage. 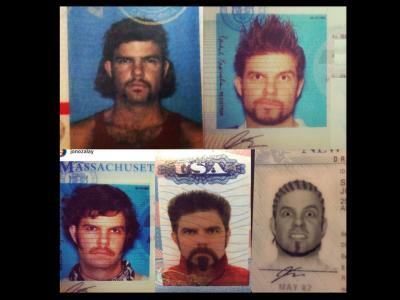 Protect yourself against crimes like forgery and theft by an employee. Get liability insurance so that if things go wrong, you won’t lose your shirt because of a lawsuit. You can even get worker’s compensation plans to protect yourself in the event an employee is injured. Getting the right insurance for your business can be a confusing and complex process. However, by working with the professionals at RVNA who specialize in insuring photographers, you’re assured that you get the coverage you need so you can continue with your work, even when things don’t go as planned. Let’s face it - one of the largest obstacles to your success as a photographer is mastering the business side of things. Sure, you need to be a great photographer to be successful, but photography is something you enjoy, something you practice all the time. But the chances are that you might not have a fully developed business acumen that’s necessary to make your business pursuit a successful one. That’s where Cradoc fotoSoftware comes in. This suite of photography business tools has your back so you can run your business smoothly and efficiently with simple solutions that help you do everything from keyword your images to determine the prices you charge for your products and services. Use fotoKeyword Harvester to build a library of words that describe your photos for easy organization and makes it easier for buyers to find your images on services like stock photography sites. That means more people will be able to find your images, and the more eyes on your work, the more sales you’ll have! Cradoc also offers fotoQuote, which is the industry standard for pricing out your stock and assignment photos. With hundreds of stock photography prices and detailed pricing information on over 70 types of assignment photography gigs, fotoQuote helps you zero in on a price that’s fair to your customers and helps improve your bottom line at the same time. For us, Cradoc’s fotoBiz is the icing on the cake. 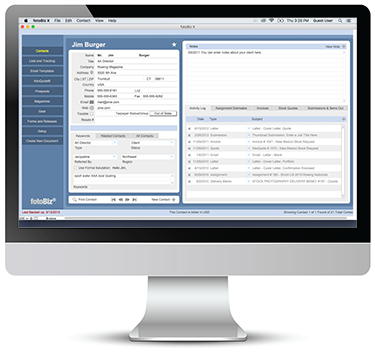 This software automates your entire business workflow, allowing you to create quotes for clients, send bids for projects, and develop invoices for the work you do. What’s more, all you have to do is enter the job information, and fotoBiz takes it from there, automatically creating the next step in the workflow on your behalf. Even better, fotoBiz tracks how much individual images have made in terms of licensing fees, reminds you of when licenses expire, and creates emails to clients to offer to relicense the image. That means you spend less time worrying about your business and more time actually taking photos. That’s not a bad deal! When it comes to a photography product that can completely change the way you shoot, the Holdfast Money Maker certainly fits the bill. It doesn’t matter if you are a wedding photographer, a nature and wildlife photographer, or a photojournalist, the Money Maker allows you to safely, securely, and comfortably carry multiple camera systems in a fashionable and functional manner. Have one camera body with a wide-angle lens and another body with a telephoto lens, right there at your fingertips, ready for you to raise to your eye to get the shot. Just imagine all the time you’ll save too - by carrying multiple camera bodies, you won’t have to stop and swap lenses nearly as often. 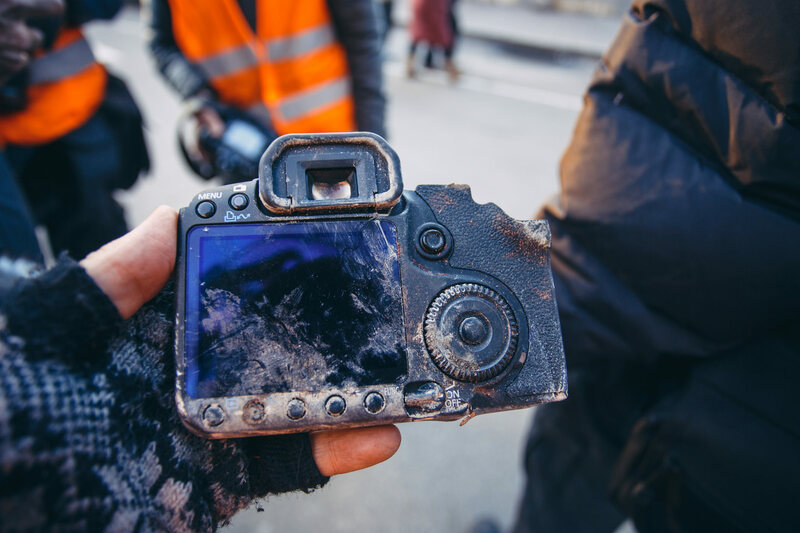 That also means that your camera’s sensor will spend less time exposed to the elements, which, in turn, means you’ll need to spend less time cleaning your gear. It’s a win-win! The Money Maker is also one of our top picks for 2016 because of the sheer comfort it provides photographers. We all know how long photo shoots can take, and with all that movement of standing, kneeling, and carrying gear around, fatigue is inevitable. However, the Money Maker spares your neck, shoulders, and back because it spreads out the load of your gear to a greater area of your body. So, rather than all the weight of your camera and lens being borne by one shoulder and a single strap, the Money Maker distributes that load so you can carry your gear in comfort for much longer. Many of the Money Maker models are constructed of full grain leather which is certainly easy on the eyes, but that also means that the soft, supple leather will conform to your body over time, just like a great pair of jeans. What’s more, some models have removable shoulders pads just in case you need to travel even faster and lighter, but even sans the shoulder pads, this is one comfortable rig! So, not only does the Money Maker make your job easier, it makes you look good doing it! Over the years, photography has undergone many changes that have evolved the artform into what it is today. From black and white to color, film to digital, DSLRs to smartphones, each step represents innovations that have changed the way we create photographs. Now, Plotagraph can be added to that list. Plotagraph is a cloud-based platform on which you can add dynamic looping content to a single still image. You don’t have to upload a series of photos to blend together or create video clips with your camera. Instead, Plotagraph adds motion to your photo that gives it an incredible level of detail, dimension, and visual interest. That results in more viewer engagement with the images you create. But that’s not the only innovative feature about Plotagraph. Beyond that, Plotagraph is a community where artists come together to create their images, share their work, and inspire and be inspired by others. The community includes instructional videos so that you can learn the ins and outs of creating your own Plotagraphs. There’s a help desk, a community chat room, and cloud storage for your images as well. Heck, as a member of the community you can even sell your Plotagraphs and looping content through the community. In that regard, Plotagraph has innovated the way you create images as well as the way in which you interact with other artists. 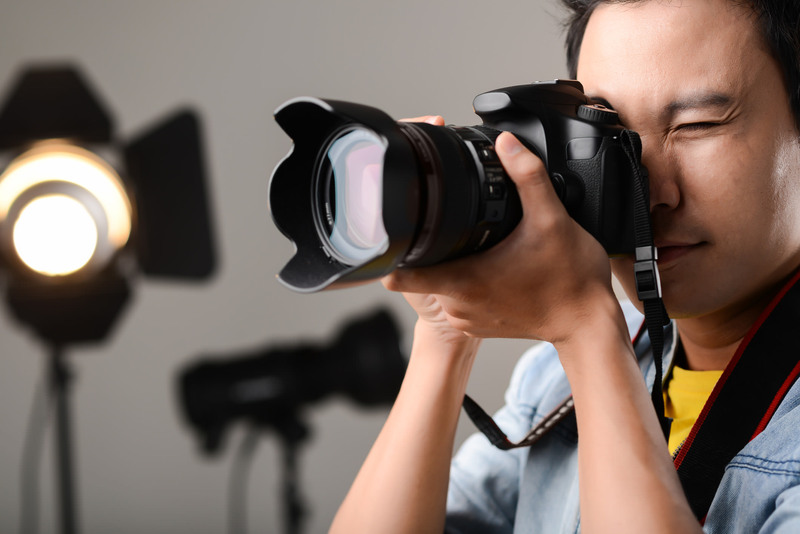 That means that whether you’re a professional photographer or an amateur, the Plotagraph experience is one that can prove to be an invaluable learning and business tool. That’s why Plotagraph gets a spot on our Best of 2016! The Sound Shark has incredible features that allow users to get high-quality audio, even in difficult circumstances. The parabolic collector allows a lapel mic to record voices 30 or more feet away. Speakers without a lapel mic can be recorded up to 6 feet away, and still sound as though they are wearing a mic! Not only is that range a great feature, but you also don’t have to worry about mic cables - just set up within 6 feet of the speaker and their voice will come through crystal clear. As if that’s not enough to demonstrate just how accurate and clear the Sound Shark is, consider this: the Sound Shark mounts to your camera via the hot-shoe mount, putting it in a prime position to collect the audio you need for videography work. As a result, it rejects more sound from the background and from the sides than a shotgun mic. That means you can record indoors in a noisy venue, or outdoors in windy conditions, and still get top-notch audio. The sheer capabilities of the Sound Shark have caught the attention of users from amateur videographers to professional wedding photographers to production companies and filmmakers. In fact, Klover Products, which manufactures the Sound Shark and other parabolic mics for high-leverage TV broadcasts, has been at it for years. The founders, Paul Terpstra and Patrick Santini, have backgrounds in providing support for the television broadcast industry as well as in engineering and product design. They have perfected the design of Sound Shark and their other products to deliver the best-sounding audio available today. Their professional mics have been used for the Super Bowl, the World Series, the NCAA Men’s Basketball Tournament, the MLB All-Star Game, and the NBA All-Star game. With that kind of pedigree used to develop the Sound Shark, you know that it provides the utmost in audio quality for any occasion. Superior build quality. Incredible sound. A proven track record on some of the world’s biggest stages. It’s easy to see why Sound Shark from Klover Products is one of our picks for the year’s 10 best! One of the best camera bags to hit the market in 2016 was the Holdfast Roamographer. Like the Money Maker, the Roamographer is at the intersection of form and function. The smaller version of the bag accommodates a mirrorless camera body or rangefinder, two lenses, and a tablet with plenty of room to carry other odds and ends at the same time. The bag comes with an added strap so you can securely carry a mirrorless camera and lens for quick access when a photo opportunity arises. But the Roamographer offers so much more than that. With adjustable carrier straps, you can secure your tripod to the bag for easy carrying between shoots. With the included luggage tag wallet, you have a safe place to store your driver’s license or credit card. Inside, you’ll find two interior slip pockets that are ideally suited for storing extra batteries or memory cards, your phone, or your car keys. Carry the bag via the integrated handles or attach the shearling-lined shoulder strap for ultimate comfort. Better still, the Roamographer is multifunctional. Remove the camera insert and use the bag for a weekend getaway. 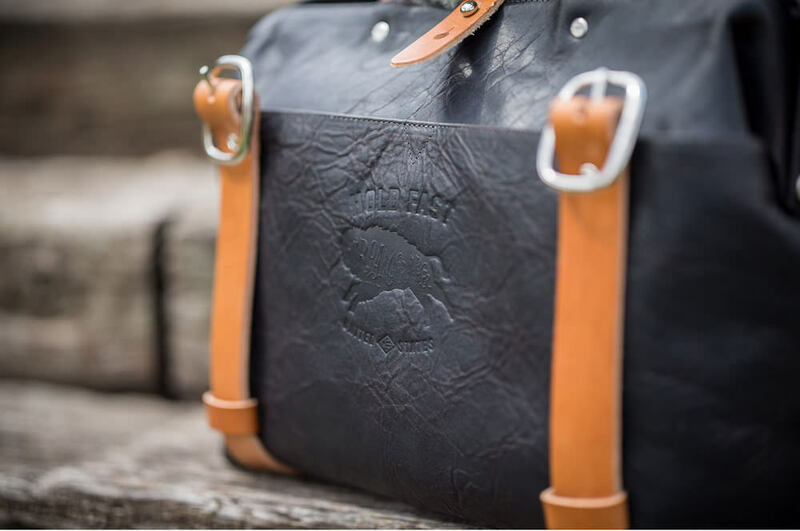 And, no matter where you go, you can rest easy knowing that the American Bison Leather will stand up to the elements and protect your gear (or your weekend wardrobe!) from ruin. If you want a bag that’s highly functional, well designed, and looks impeccable, the Roamographer is it! When it comes to camera remotes, nothing beats Pulse by Alpine Laboratories. At a minute 60mm x 40mm, Pulse can be easily carted along in your pocket, but it packs a punch much larger than it’s little body. Whether you take still photos, create videos, or dabble in timelapses, Pulse allows you to take complete control of your camera, wirelessly. The beauty of Pulse is in the sheer number of things you can control. Change your camera’s aperture, shutter speed, or ISO. Manage your HDR settings or set a timer delay. Create easy timelapse videos by dialing in basic or advanced settings, all with just a few touches. Better still, all this can be controlled from up to 100 feet away via a Bluetooth connection to your smartphone. Just download the companion app and you’re ready to go. Something that you get with Pulse that you can’t get with any old camera remote is a real-time image preview. So, as your camera snaps images, you can preview each one to ensure that your creative vision is being carried out. Even better, you can view a histogram to see if you’re clipping any highlights or losing detail in the shadows. And, for you timelapse enthusiasts, Pulse gives you total control over exposure, so you can create those coveted day-to-night timelapses and do so with perfect exposure in every frame. If you love long exposures, Pulse can help you with that too with timed and manual long exposure options. Heck, you can even get a set of Pulses and control up to three cameras all from one phone! Maybe the best part is that Pulse is easy to use and easy on your pocketbook. It’s a powerful tool that beginner, advanced, and professional photographers alike can use to create truly stunning work. That’s why it’s among the best of 2016! Imagine you’re surfing the internet and come across one of the photos you created being used - without your permission - by a website. What do you do? For many people, they aren’t exactly sure what to do in that situation. Do you call the owner of the website (if you can even find out who it is) and demand that they take your image down? Do you call an attorney and pay exorbitant fees to take legal action against the website? Do you just let it go because you don’t have the money, energy, or time to fight to protect your hard work? The answer is, none of the above! Copypants is the ideal solution for all photographers that want to protect their work, but don’t want to spend a ton of time or money doing it. Copypants makes it easy because they scour the internet for copies of your images, and when one is found, they immediately alert you. Once you get the alert, you have a number of options for recourse. You can elect to allow the publisher to keep your image up, with no action taken. You can ask Copypants to contact the publisher and request that you be given credit for the image. There’s also the option to send the publisher a takedown notice, again, which is created and handled by Copypants. All you have to do is click a few buttons! 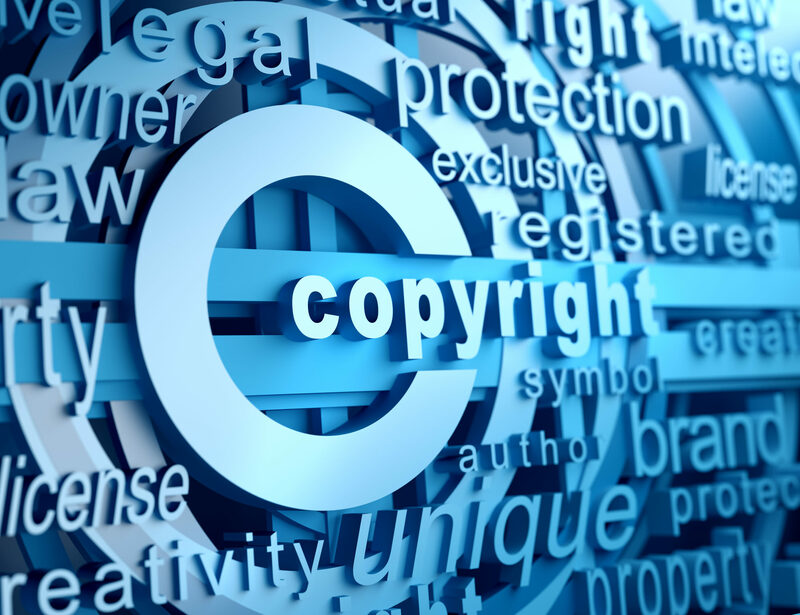 Better still, Copypants also gives you the option of requesting a licensing fee from individuals or businesses that have used your image without permission. For example, rather than issuing a takedown notice, you can request that the offending publisher pay your license fee instead. Copypants will even offer suggestions for appropriate pricing, and will handle the communications with the publisher as well. It’s like having a team of lawyers watching out for your best interests, but without having to pay tons of money. It’s easy to see why Copypants is our pick as one of 2016s best photography companies! As common as image sharing has become in today’s world, it’s obviously important that you have the best tools at your disposal to ensure that your work is protected, that you get credit for it, and that you can monetize the images you take - all without needing to spend tons of time doing it. Watermarks can be circumvented. Right-click disabling doesn’t always work. Fair Use protections have their limits. If you truly want an all-in-one solution for protecting your work, Copypants is the answer. Having a good filter on your lens is just about as important as having a good lens on your camera. 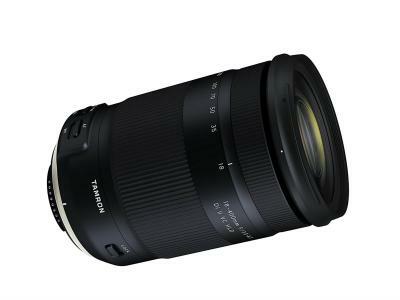 After all, shelling out hundreds - if not thousands - of dollars on a high-quality lens makes no sense if you then obscure it with a cheap filter. When it comes to innovative, new filters, Syrp’s Super Dark Variable Neutral Density filter has to be at the top of our list. The Super Dark gives you a 5-10 stop range of adjustable exposure so you have the flexibility you need to create the images you want. And, with hard stops and the maximum and minimum end, you can be sure to limit X patterns too. The Super Dark is constructed with high-quality Japanese glass, so you get precise, sharp results no matter whether you’re creating stills, long exposures, or time-lapses. Even on the brightest of days, the Super Dark will let you shoot and create gorgeous, surreal images with unparalleled depth. 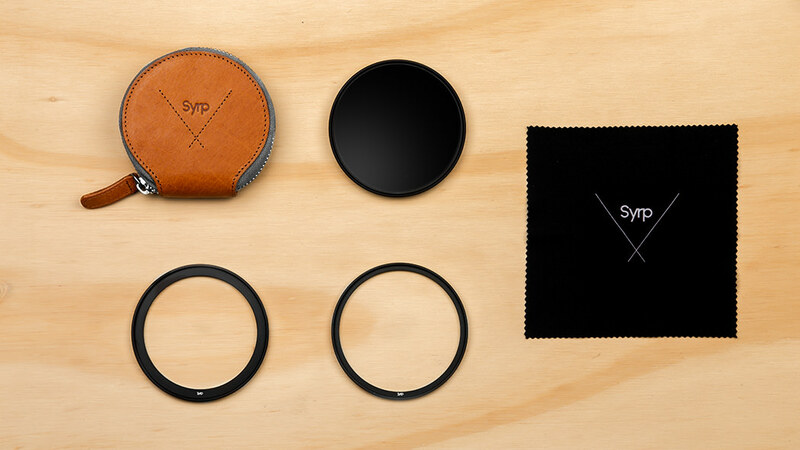 And, to make the Super Dark more flexible, Syrp offers it in two sizes - large at 82mm and small at 67mm. You also get step up rings so you can use your filter on lenses of various sizes. The filter has threads on the front as well, so you can stack filters if need be. It even comes with a genuine leather case and lens cloth so you can keep your new filter safe from damage and debris. As filters go, there hasn’t been much as exciting as the Super Dark in 2016. Get outfitted with the Super Dark, and see the incredible difference it makes in the images you create! Our list of the best photography products and services of the year wouldn’t be complete without a drone, and far and away, the best drone we’ve encountered in 2016 is the GDU Byrd. 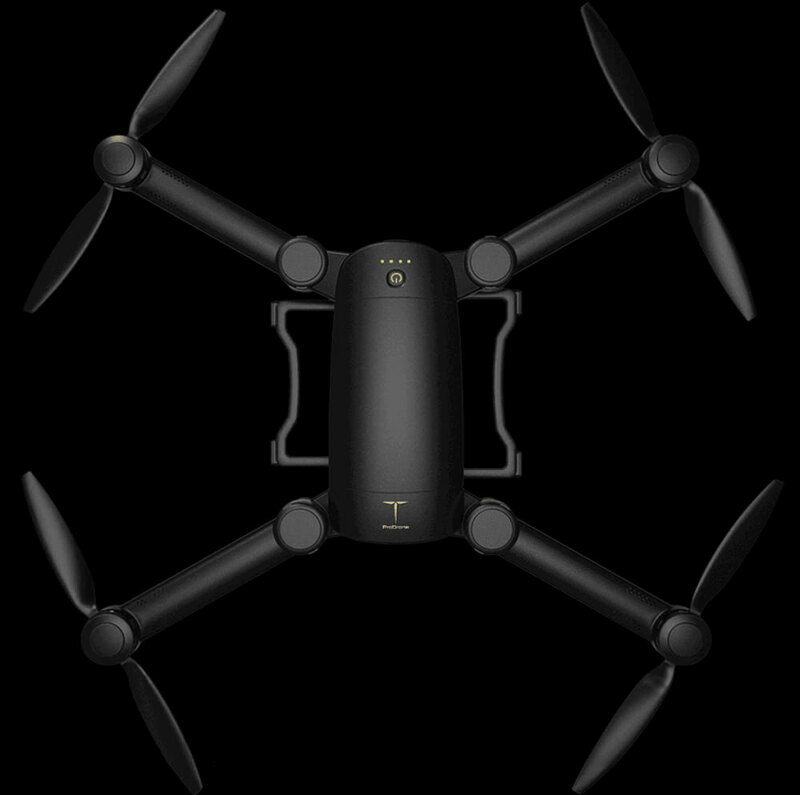 The Byrd features foldable frames and modular gimbal assemblies, meaning it’s an incredibly portable drone. Because all its parts - including the arms, propellers, and landing gear - are all collapsible, you can easily carry it in a small backpack. In fact, when the Byrd is folded up, it’s about the size of an iPad. That compact size, along with an intelligent propulsion system that gives you the ideal balance between lift and speed, mean that you can take your drone just about anywhere, and then get a flying experience that’s optimized for your needs. Another feature that caught our eye is that GDU tests its Byrds time and time again so they perform at their best in even the harshest climates. High humidity, intense heat, and freezing cold are no match for the Byrd. And, you get incredible flight time - up to 25 minutes on the Standard Version and up to 29 minutes on the Advanced and Premium Versions, so you can keep on flying even after your friends have had to land their drones for a recharge. As if that’s not enough, the Byrd was designed from the ground up to be a universal platform. As a result, it can support a variety of gear, from the 1080p HD camera on the Standard Version to the Premium Byrd which comes packaged with a 4K camera. Advanced and Premium Versions will even follow you as you ride your bike, hike, or tackle other adventures, so you can focus more on what you’re doing and less on where your drone is. With a transmission distance of 1,000 meters, smart features like single button takeoff and landing, and the ability to fly the Byrd from multiple controllers or even your smartphone, there’s really no better drone to undertake sky-high photography than the GDU Byrd! If you’ve been a photographer for any length of time, you know that sometimes, a full sized tripod just isn’t doable. Perhaps you’re shooting in tight quarters and simply cannot setup a regular tripod. Maybe you need to travel light and don’t want to get bogged down carrying something as bulky as a tripod. Either way, the best alternative hands down is Handlepod. The primary reason why Handlepod is on our list of the best of 2016 is that it’s such a versatile tool. You can hold it in your hand to give you steadier shots in low-light situations. 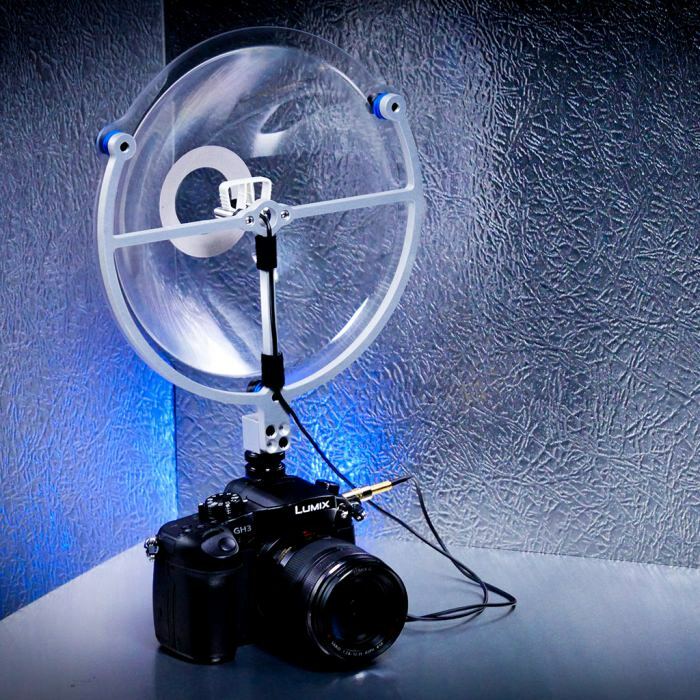 You can also use it to stabilize your camera for long exposures. Brace it up against a post, a wall, or even a tree trunk to get the stability you need for a clear, sharp image. Handlepod comes with an integrated elastic cord too, so if you want to take a self-portrait or a group photo, you can lash it to virtually any steady object and rest assured knowing that you can get the photos you want without any blur. All that versatility is packaged into a small device as well! 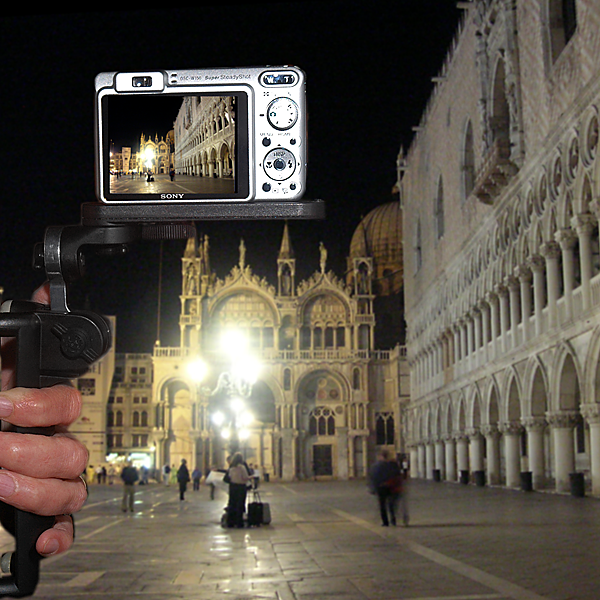 You can easily carry Handlepod in your pocket, something that photographers that are on the go are sure to appreciate. Handlepod can also be used with a wide variety of cameras. Attach your iPhone or Android phone, your mirrorless camera, or even a DSLR, and you’re ready to tackle any photography assignment. And, since there is three-axis movement, you can get a level, well-composed shot even if the object you’ve supported your Handlepod against isn’t at the perfect angle. Better still, Handlepod is a breeze to use. There’s no pulling out leg extensions or worry about adding weight to stabilize it as is the case with many tripods. Just pull Handlepod out of your pocket, attach it to your camera, and you’re ready to shoot! If you shoot in a studio space, you know that all the various cables for your computer, lighting, cameras, and so on, can become a tangled mess. What’s more, if you’re shooting tethered, you’ve got yet another cable to worry about catching as you walk by. After all, it only takes one catch on a cable to cause serious damage to your gear or yourself. But one of our favorite products of the year, TetherBLOCK, helps address this all-too-common issue. TetherBLOCK keeps your tethered cable in place, safely and securely, so there’s no chance of accidentally ripping the cord out of your camera or laptop. It’s a simple device, really. 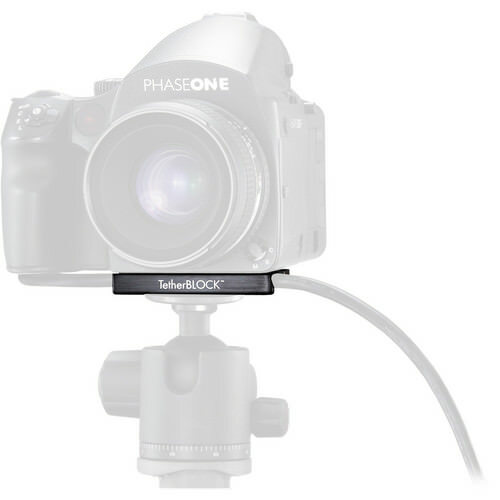 All you have to do is attach the TetherBLOCK to the tripod thread on the underside of your camera. 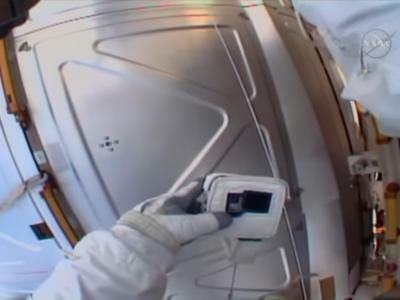 Then, thread the data cable through the s-channel on the TetherBLOCK. Lastly, plug the cable into your camera and then your computer, and you’re ready to shoot. All told, you can get the TetherBLOCK in place and have your cables secured in about a minute. That minute could very well save you from the time-consuming and expensive task of having your camera repaired due to a broken port! And, if you’re worried about using TetherBLOCK with a tripod, don’t be. The device has two tripod thread mounts - a ¼” and a ⅜” - so you can mount it onto most standard tripod heads. It can be used if you shoot handheld too - whatever you need! TetherBLOCK also accommodates different sizes of cables, from USBs to firewires to HDMIs, so no matter what gear you use, you can be sure TetherBLOCK will work for you. Some photographers use a leash to connect their cables and camera. Others just gaffer tape their cable to the camera body. These solutions might work for a short while, but neither will prevent the cable from moving back and forth in your camera’s port, and neither looks all that professional either. If you want the safest solution, get TetherBLOCK and protect your valuable investments in gear! 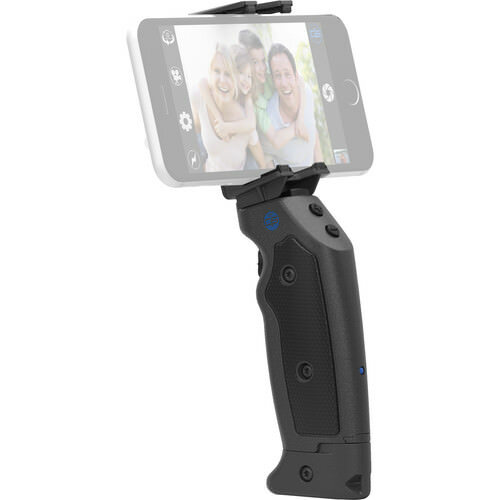 Taking photos and videos with your mobile phone got a lot easier this year with one of our top products of 2016, the Grip & Shoot. Grip & Shoot comes with two cases that fit various models of the iPhone, and gives you plenty of flexibility in terms of how you shoot. Use it as a handheld device for taking close-up selfies or videos of your surroundings. Or, mount Grip & Shoot to a standard tripod and use Bluetooth 4.0 to give you up to 100 feet of connectivity. Simply download the companion app from the Apple Store or Google Play, and take control of Grip & Shoot right from your smartphone. No matter your subject, Grip & Shoot gives you the flexibility you need to get the stills and videos you want. 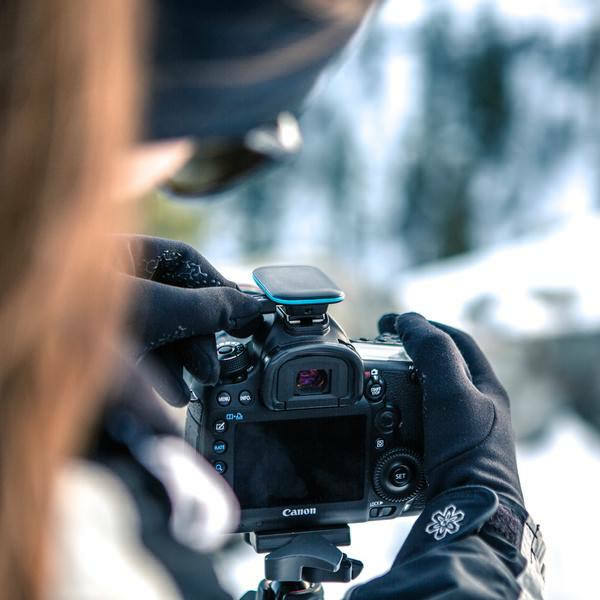 Grip & Shoot makes taking photos and videos easy with three buttons integrated into its ergonomic handle. You can trip the shutter, start and stop videos, and even control the zoom feature of your smartphone camera. Better still, Grip & Shoot has an open API, so if you’ve got some developing chops, you can program the buttons to do anything you like! Stop messing about trying to hold your smartphone and tap the screen to take photos or start and stop videos. Get a Grip & Shoot and see how easy it is to get creative!